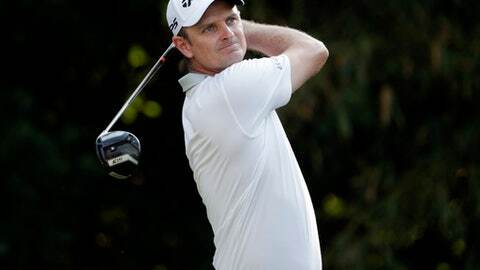 FORT WORTH, Texas (AP) Justin Rose considered his first 15 holes in the second round at Colonial pretty flawless. The last three worked out OK, too, even with the only bogey for the leader of the Fort Worth Invitational. ”Last three holes got a bit scrappy,” Rose said after a 6-under 64 that got him to 10 under Friday at Hogan’s Alley. After missing the green at the 422-yard seventh hole, the Englishman chipped in from 16 feet for a birdie. He missed the green again at the par-3 eighth for a bogey. Then after his tee shot into the rough and an approach that just cleared the water fronting his final hole, the world’s fifth-ranked player two-putted for a closing par. That was good enough for one-stroke lead over Argentina’s Emiliano Grillo , whose 67 included six consecutive holes without a par. Defending U.S. Open champion Brooks Koepka (63) and Satoshi Kodaira (67) were 7 under. Rose, the 2013 U.S. Open champ who won the HSBC Champions in Shanghai in his season debut last October and has four top-10 finishes, said he played ”about as good as” he has overall in a long time. Things really got going after caddie Mark Fulcher offered a few words when Rose was a bit frustrated about a couple of missed putts while starting the round with four consecutive pars. Aaron Wise, the 21-year-old rookie coming off his first PGA Tour victory a week ago at the Byron Nelson, missed the cut after a 73 left him 3 over – the same as Webb Simpson, who won The Players Championship this month. Koepka, who said he has dislocated his left wrist twice in the last two months, was 7 under through 11 holes Friday – and that is how he finished.